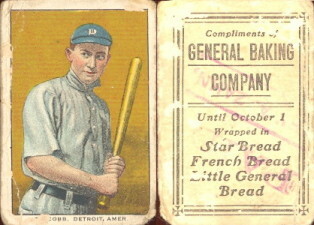 Slightly larger than contemporary cards at 1-3/4" x 2-1/2", they were issued by a Buffalo NY based bakery between 1911-1914. 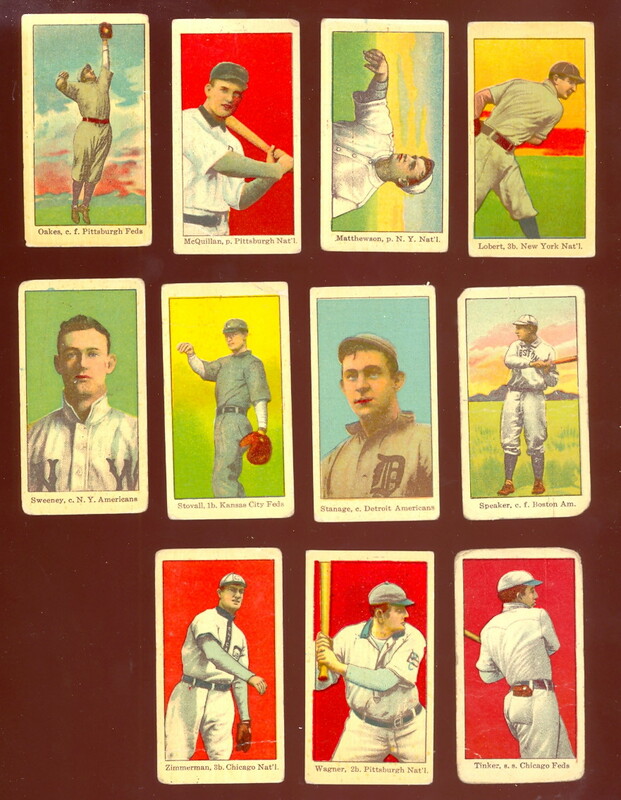 There are 25 players in the set, and some have blacked out teams because some players changed teams. 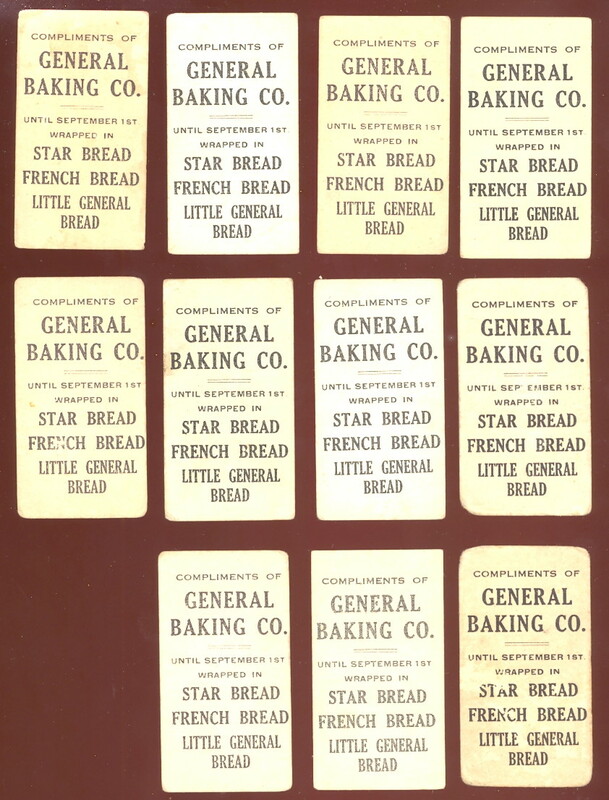 Principle brand names were: Brunners, Butter Krust, General baking co. Weber bakery, and Martens bakery. 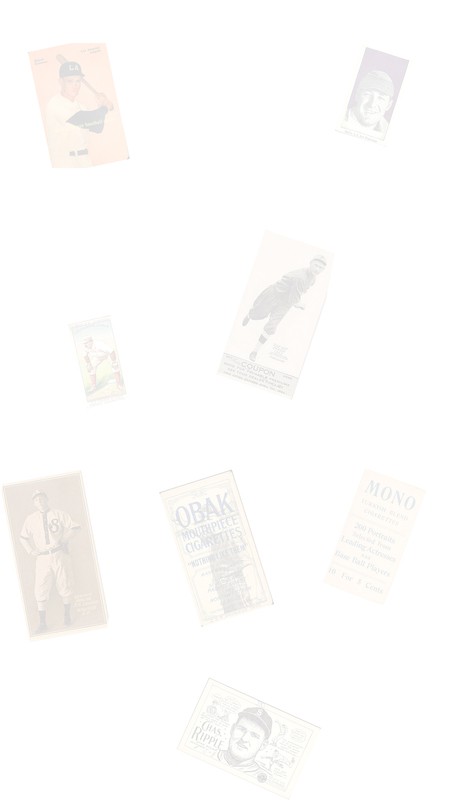 They are very rare! 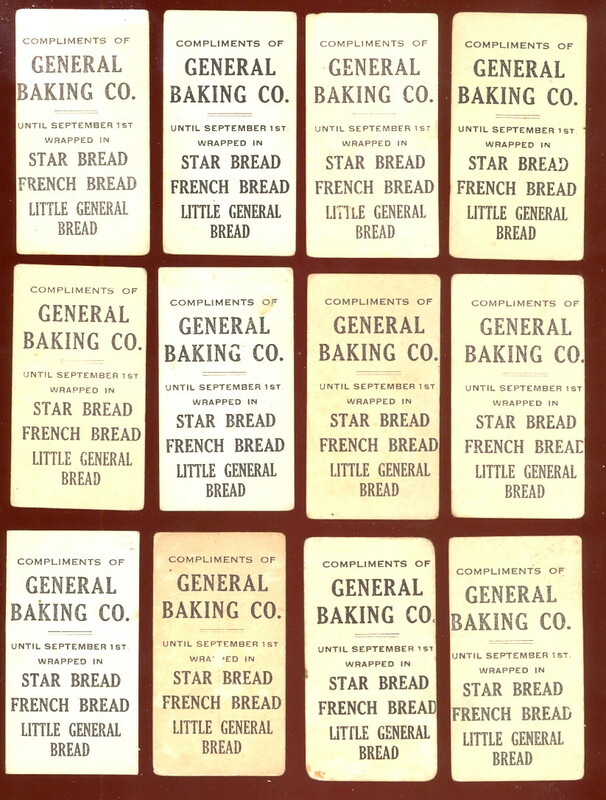 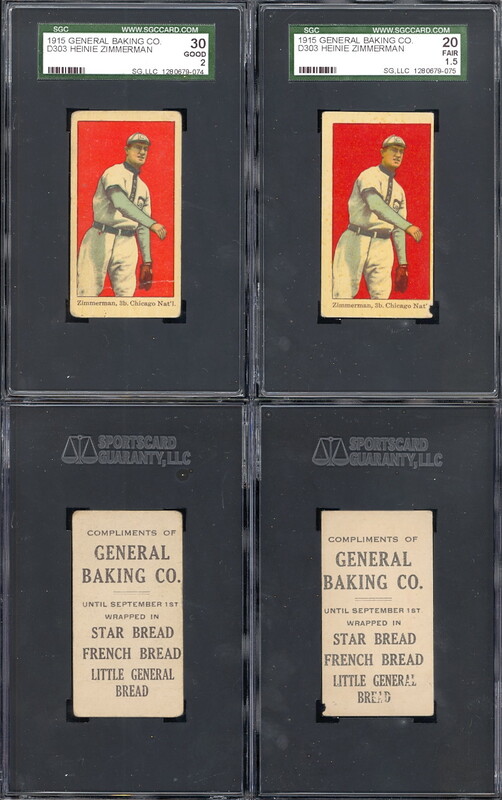 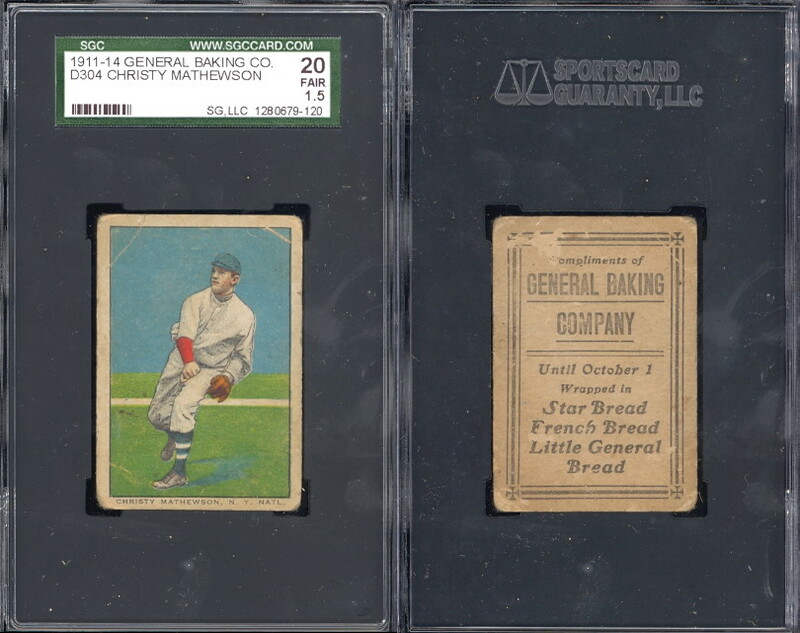 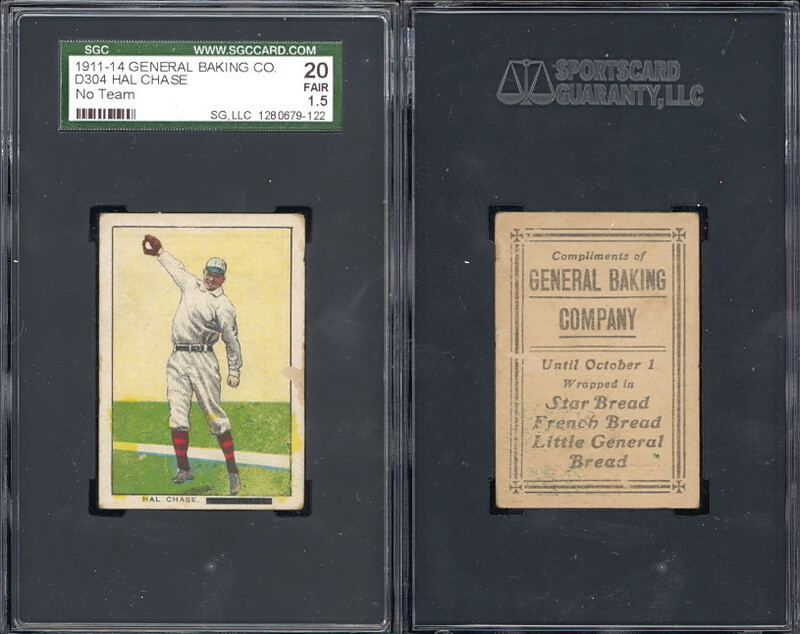 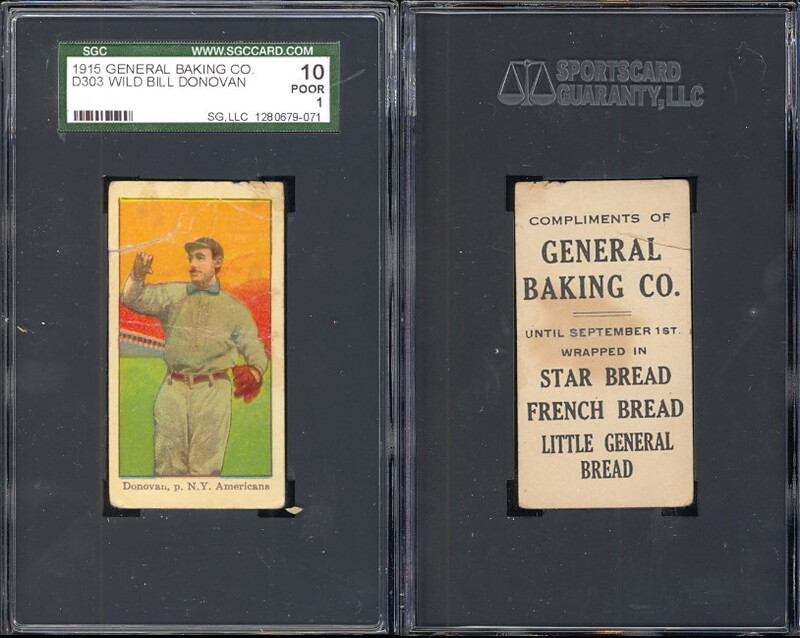 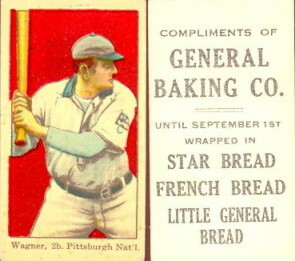 Issued in 1915 by the General Baking company, these cards measure 1-1/2" X 2-3/4" and have an advertisement on the back for the bread company. 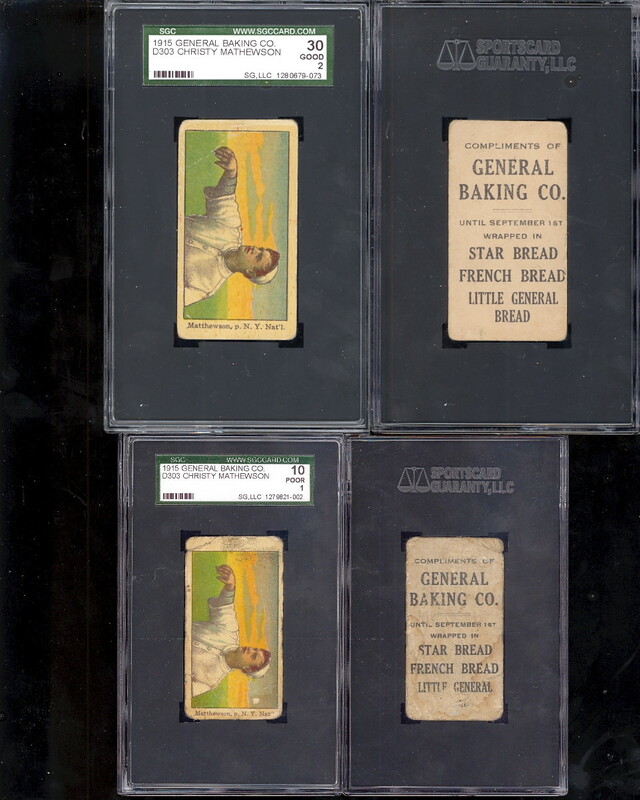 These are a very rare and seldom seen issue. 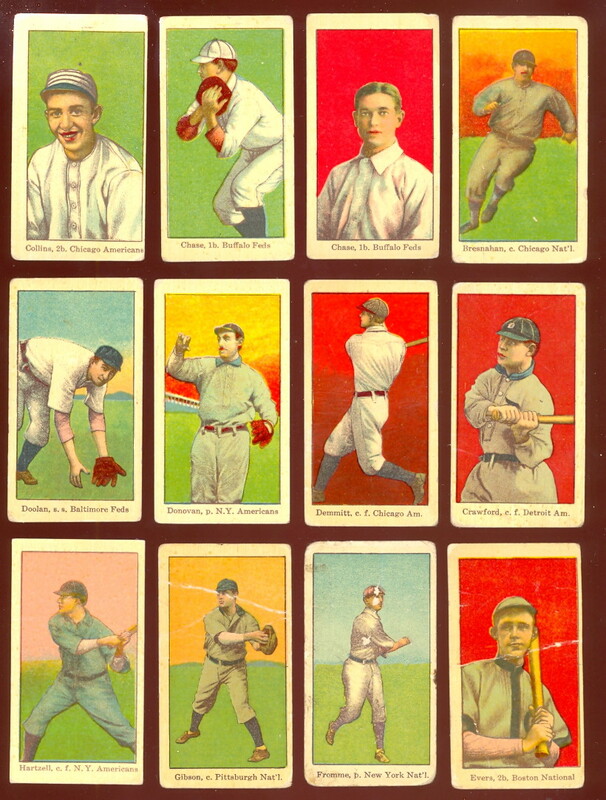 There are 51 cards in the set. 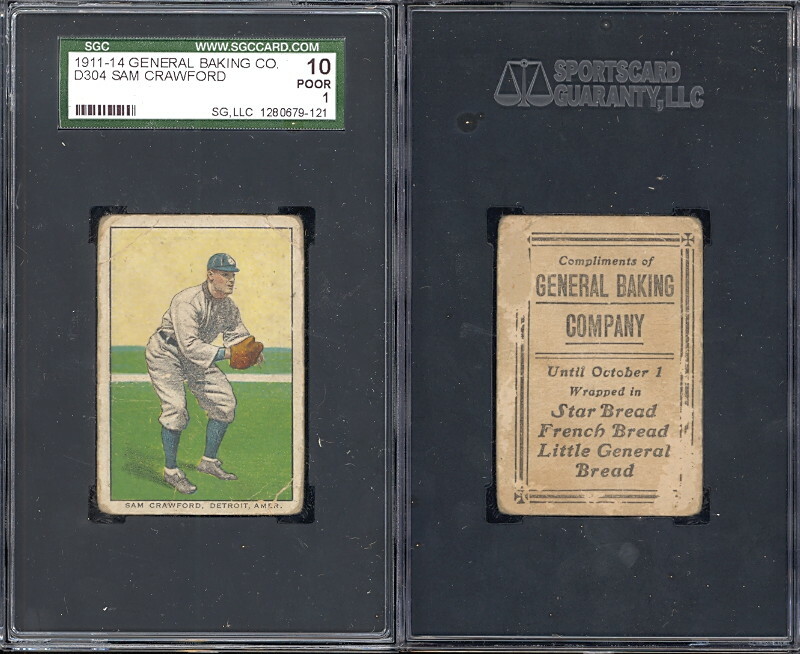 On Oct 6th 2011, we picked up a nice quantity of these, you can view images of these rare cards at the bottom of the page. 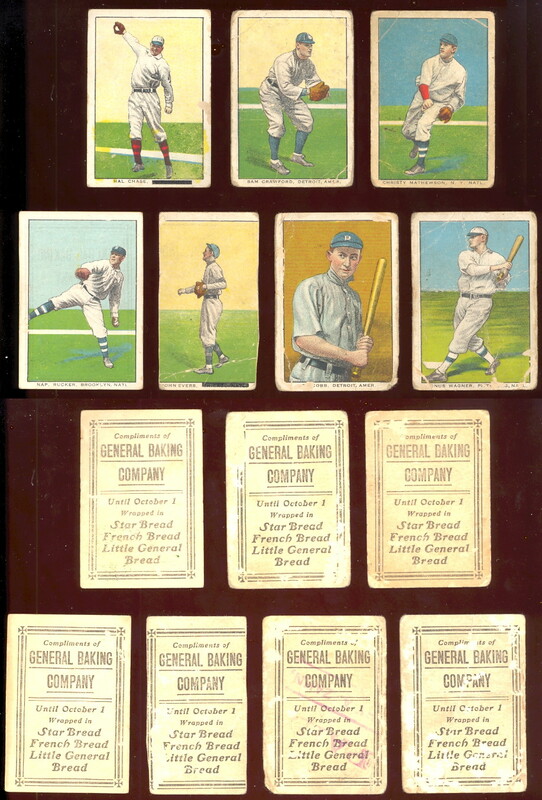 Cards in the price table below are available for sale.